The Chromium team has released a sizable update to Chrome OS this morning, bringing with it several enhancements and improvements to the platform. The updated build is version 52.0.2743.85 (Platform version: 8350.60.0) for those keeping score at home and it is available for all devices running the Operating System. The update is already rolling out (I have received it on my HP Chromebook 11 G4 already) and you can check for it by going to Settings>About Chrome OS>Check for Update. From a security perspective, there is one high priority update around heap overloads that is highlighted but the majority of the fixes included in this release are not publicly available just yet. As is often the case, the Chromium team is not releasing the full list of security fixes until a majority of Chrome OS devices are updated to this build. All devices should see the update come to them via a normal OTA over the course of the next day or two if you do not want to manually check for the update so there is no requirement to manually check. 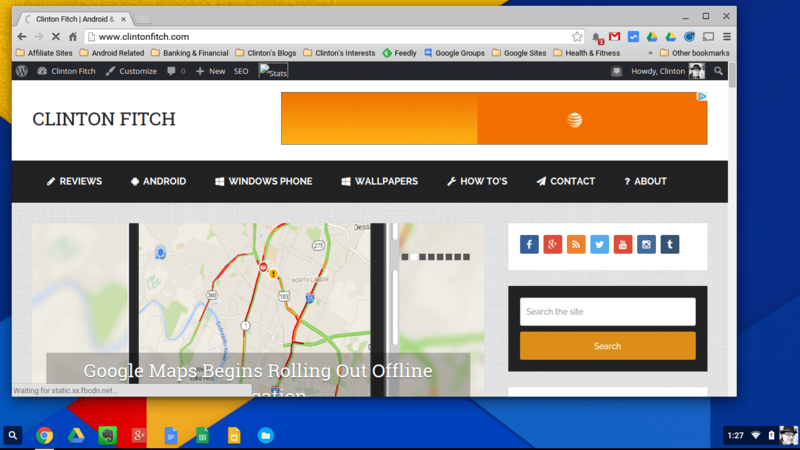 Also note that this is not the Chrome OS release that will bring Android apps to devices. That is the 53 train and that is still in the beta channel. i love your site ,it keeps me in the loop. Thank you Joseph! Glad the site helps keep you up to date!